Goth Shopaholic: Why is Madame Alexander's Alice Doll Wearing a Red Dress? Why is Madame Alexander's Alice Doll Wearing a Red Dress? Why does this Madame Alexander Alice doll wear a red dress? Aren't most Alice dolls dressed in blue with a white apron? Well, this Madame Alexander doll was made to commemorate the 150th anniversary of the publication of "Alice in Wonderland." The doll company has made blue-dressed Alices many times in the past. 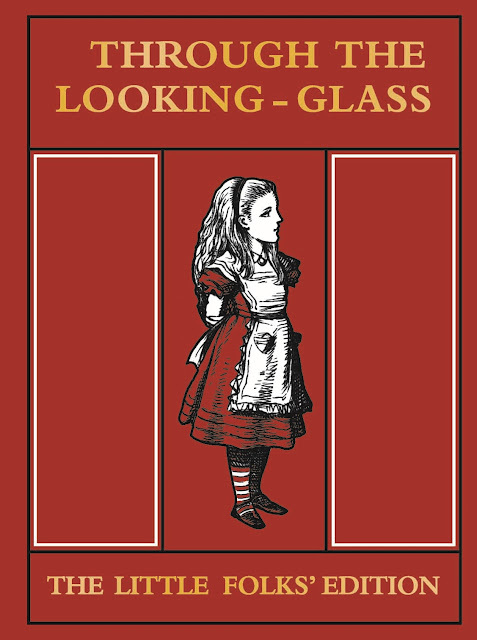 This one, however, was chosen to wear red in honor of the 1907 "Little Folks Edition" of "Through the Looking-Glass." Rather than blue, Alice's dress was originally shown as yellow, in the 1890 Nursery Alice edition. Here's an interesting post on the history of Alice's hair and dress colors. You might also enjoy Alice in Wonderland: the Making of a Style Icon. 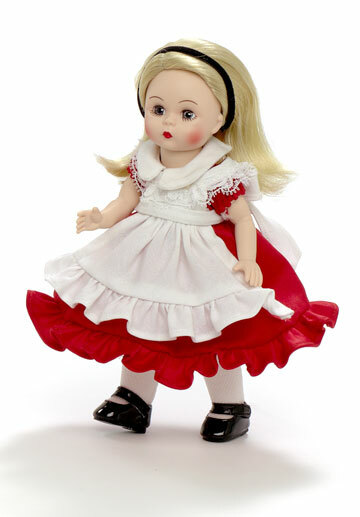 The Alice in a Red Dress doll is available via eBay and also on Amazon.